Five years later, it’s hard to find anyone who’s happy with the results. Mass Effect: Andromeda, released in March 2017, disappointed even the biggest fans of BioWare’s longrunning series. The game was widely pilloried, with critics slamming its uneven writing, frequent bugs, and meme-worthy animations (although our own review was just lukewarm). The PS4 version of Andromeda has a 70% on Metacritic, lower than any BioWare game to date, including the ill-advised Sonic Chronicles. I’ve spent the past three months investigating the answers to those questions. From conversations with nearly a dozen people who worked on Mass Effect: Andromeda, all of whom spoke under condition of anonymity because they weren’t authorised to talk about the game, a consistent picture has emerged. The development of Andromeda was turbulent and troubled, marred by a director change, multiple major re-scopes, an understaffed animation team, technological challenges, communication issues, politics, a compressed timeline, and brutal crunch. 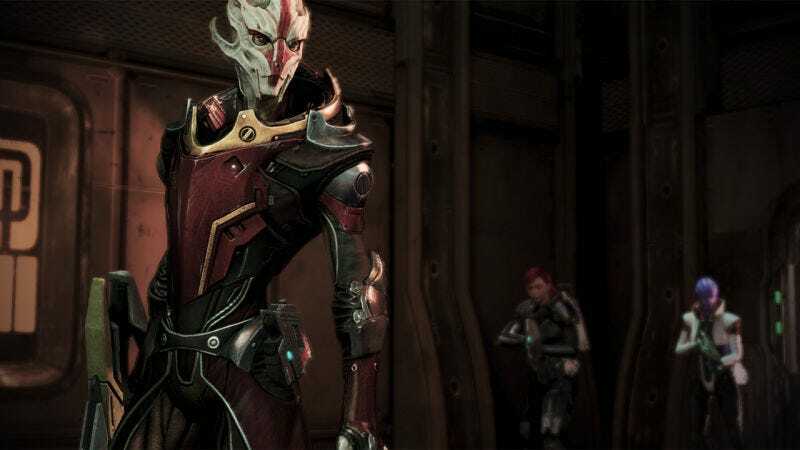 For the fourth Mass Effect, BioWare wanted a fresh start. Rather than develop a Mass Effect 4 at the studio’s main headquarters in Edmonton, which had made the first three games, BioWare decided to put its Montreal studio in charge. Casey Hudson, executive producer on the main trilogy, would start a new team at BioWare Edmonton to work on a brand new type of game, which they gave the code-name Dylan. (Their goal, a source said, was to make the Bob Dylan of video games—one that would be referenced for years to come.) Meanwhile, BioWare Montreal, which was founded in 2009 to develop downloadable content like Mass Effect 3’s Omega expansion, would lead production on the next Mass Effect. Lehiany, who wanted to lead the game’s narrative team, came up with several ambitious ideas. One of those ideas became the core concept of Andromeda: during the events of the Mass Effect trilogy, the galaxy’s ruling Citadel council had sent a group of colonists out to a new galaxy to find habitable planets, as a contingency plan in case Commander Shepard and crew couldn’t thwart the devastating Reaper attack. You, the player, would take on the role of Pathfinder, leading the quest to rebuild civilisation in the Andromeda galaxy. 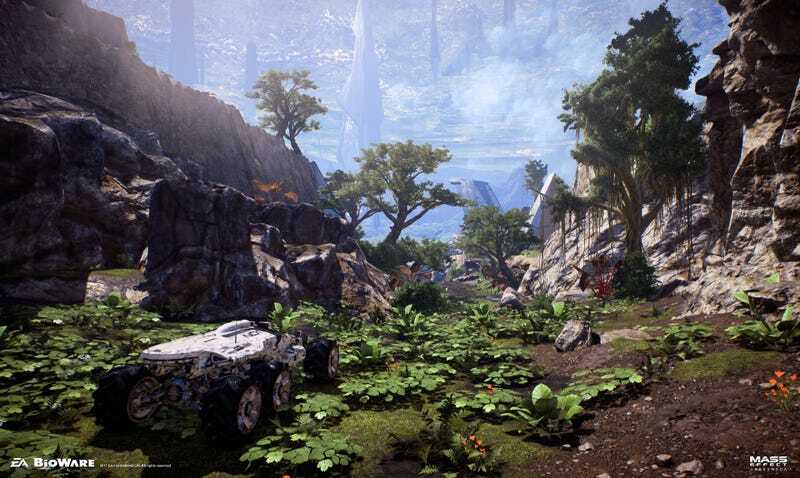 The Mass Effect: Andromeda team knew they were going to run into major technical barriers with or without procedural generation. Over the past few years, one of BioWare’s biggest obstacles has also become one of EA’s favourite buzzwords: Frostbite, a video game engine. An engine is a collection of software that can be reused and recycled to make games, often consisting of common features: a physics system, a graphics renderer, a save system, and so on. 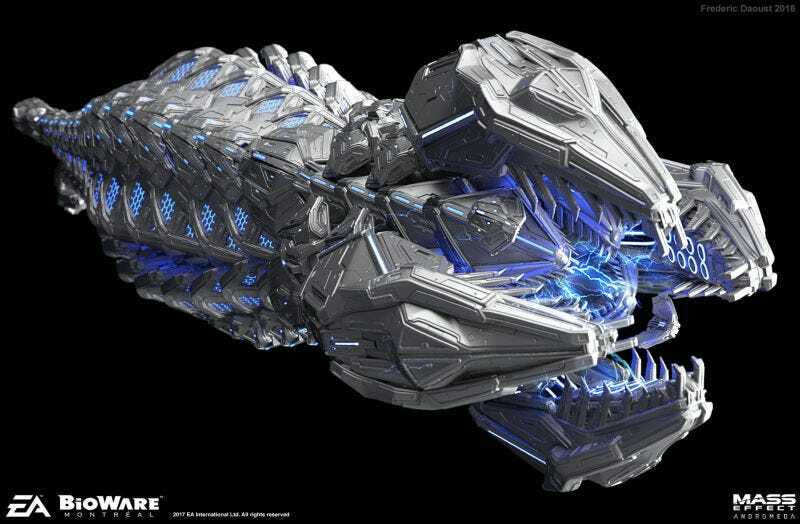 In the video game industry, Frostbite is known as one of the most powerful engines out there—and one of the hardest to use. “Whenever you’re trying to do something that fits the engine—vehicles, for example—Frostbite handles that extremely well,” the developer said. 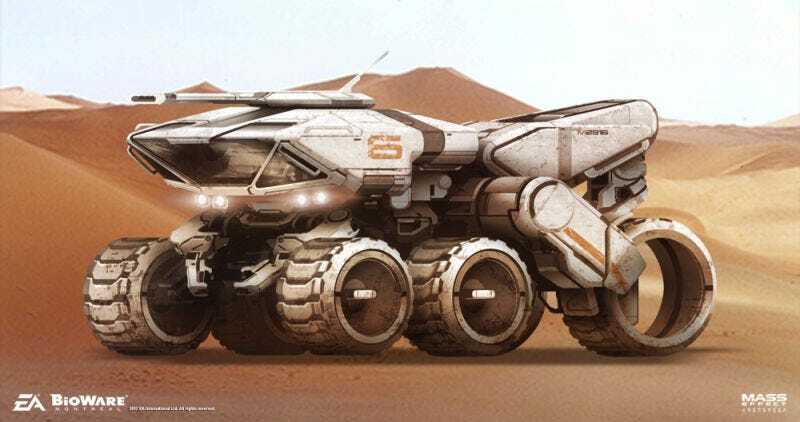 “But when you’re building something that the engine is not made for, this is where it becomes difficult.” Designing the large maps of Andromeda’s planets became a struggle on Frostbite, where the maximum size of a map was initially 100 by 100 kilometres. The Andromeda team needed their maps to be way bigger than that. Other struggles included the streaming system, the save system, and various action-RPG mechanics that Andromeda needed in order to work. By the end of 2015, Mass Effect: Andromeda’s leads realised that the procedural system wasn’t working out. Flying through space and landing on randomly generated planets still seemed like a cool concept—and by then, many people at BioWare were looking with great interest at No Man’s Sky—but they couldn’t make it work. So they decided to rescope. The root causes of this regression could be tough to identify. Sometimes they were as complicated as an engineer updating a core system; other times, they were as simple as a character modeller changing the look of an NPC. It was draining, developers said, because they felt like they were constantly redoing parts of the game that they thought they’d already finished. “The types of problems that arise from the entire project coming together in the last year and a half really compound at the end,” said one developer. 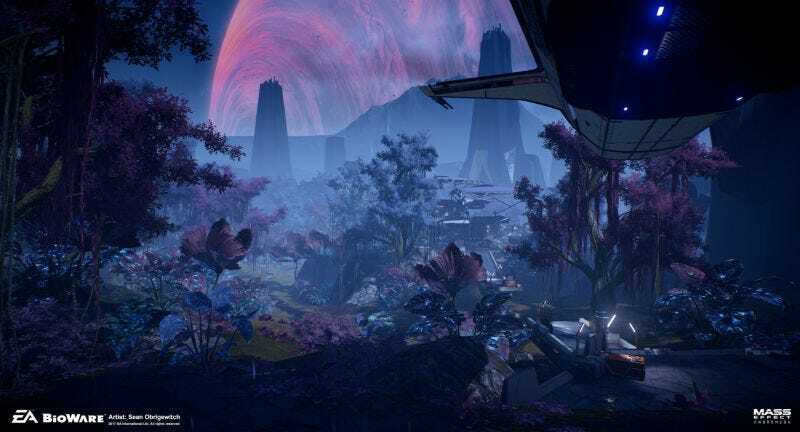 Mass Effect: Andromeda has been criticised for several things, but the images that will be remembered most are the memes—GIFs of gorilla walks, silly faces, and the main character’s eyes darting from side to side like she’s watching a high-speed game of tennis. It’s been subject to a great deal of speculation over the past few months, with theories ranging from naive (EA bought BioWare and now they’re all lazy) to deranged (BioWare made all the characters ugly because they’re SJWs). 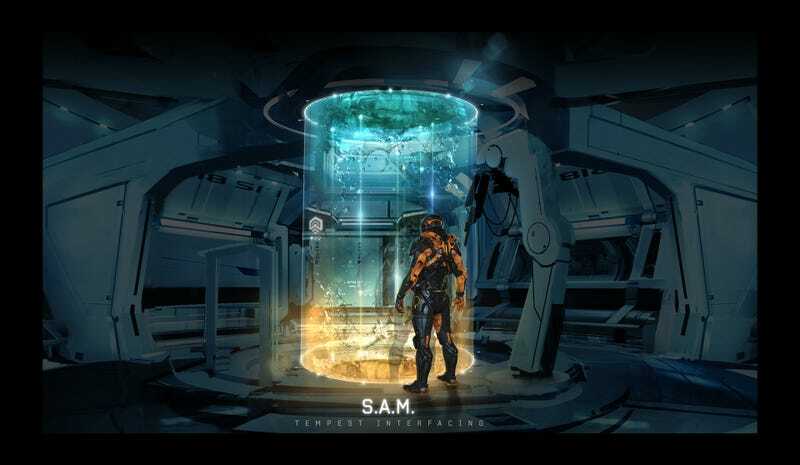 During pre-production in 2013 and 2014, as the engineers and technical animators tried to figure out how they would handle Andromeda’s animation, they ran into several obstacles. They’d hired an Egyptian company called Snappers that could create beautiful facial animations, but there were lingering questions about how to implement those animations into the engine and how to scale across the whole game. And there were constant arguments over which technology to use. 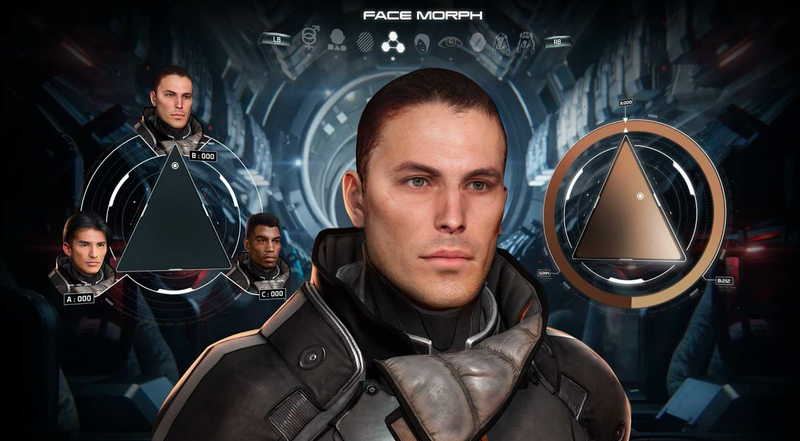 Some on the team wanted to use a program called FaceWare, developed by EA’s Capture Labs studio in Vancouver, but others argued that it wasn’t good enough. Most of the lipsync in Mass Effect: Andromeda—like other Mass Effect games—was handled by a common piece of software called FaceEffects that can interpret sounds and automatically move characters’ lips accordingly. Then the GIFs started. EA put Mass Effect: Andromeda out early for EA Access users on March 16, five days before the game came out, which led to a weekend full of memes, anger, and nasty harassment as players shared images and gifs of the game’s many glitches. Combine that with the fact that three of the other games released in March 2017 turned out to be all-time classics (Zelda: Breath of the Wild, Horizon: Zero Dawn, and Nier: Automata) and you’ve got a recipe for low review scores. When the Metacritic score finally settled, Mass Effect: Andromeda wound up with a 70 (on PS4, where it has the most reviews), far lower than those who had seen the mock reviews thought it would land.